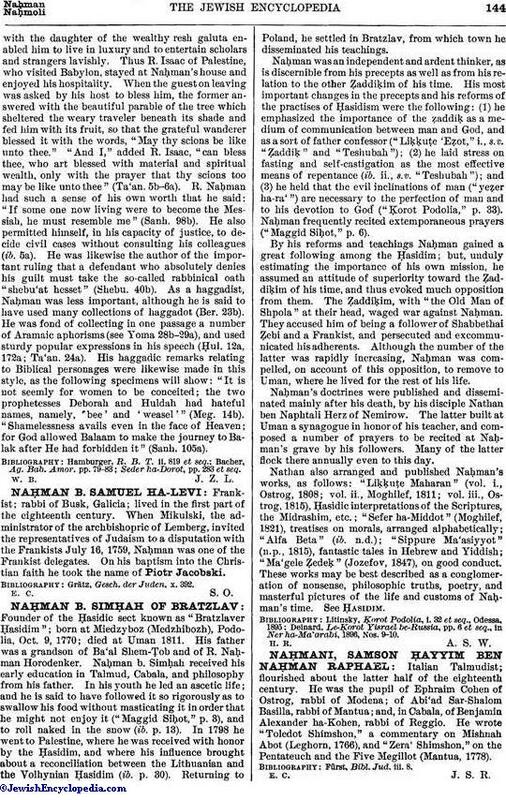 Frankist; rabbi of Busk, Galicia; lived in the first part of the eighteenth century. When Mikulski, the administrator of the archbishopric of Lemberg, invited the representatives of Judaism to a disputation with the Frankists July 16, 1759, Naḥman was one of the Frankist delegates. On his baptism into the Christian faith he took the name of Piotr Jacobski. Grätz, Gesch. der Juden, x. 392.